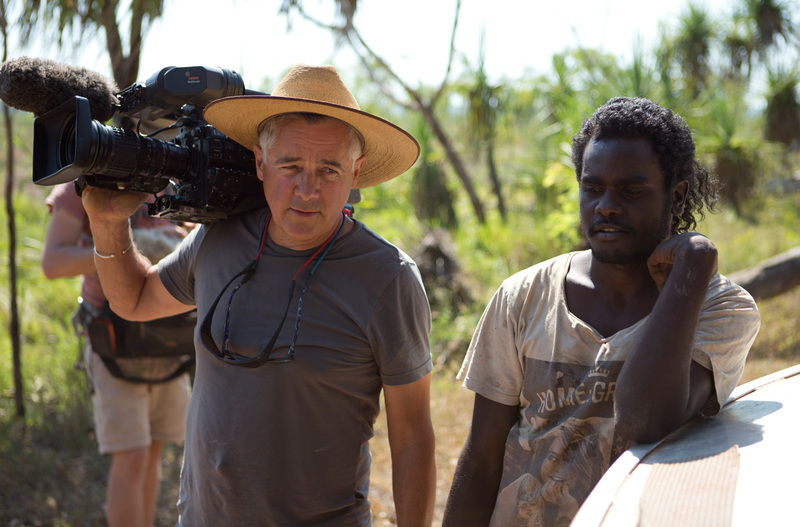 David’s career spans 35 years of writing, producing, directing and shooting documentaries in Australia and more recently in Papua New Guinea. His unique style of filmmaking is vibrant, intimate and rich in detail. The immediacy of his work derives from establishing a close rapport with his subjects who are often from isolated communities or marginalised groups. He combines local knowledge with storytelling that is energetic and thought provoking. Based in Alice Springs for 13 years, then Broome for 12 years and now in Melbourne, David has a long and distinguished history of making programs with and for Aboriginal people. His filmmaking career began around 1980 in Alice Springs, where he played an integral part in establishing the television production unit at the Central Australian Aboriginal Media Association (CAAMA). David’s work in Central Australia includes the hit television series Bush Mechanics, which screened to a national audience of more than three million. Recent projects include directing Coniston, a one hour docu-drama telling the story of the 1928 massacre of Aboriginal people in Central Australia, and Kabelbel, which tracks the revival of skills and knowledge on a remote island in Papua New Guinea to create of a large dugout canoe. David has delivered over 30 hours of factual content as director, writer, DOP to ABC and SBS. David is an executive producer and producer for television and feature films within SeeView Pictures Pty Ltd as well as a film consultant. Among the many films he has produced are Milliya Rumarra/Brand New Day, How the West was Lost, and In the Shadow of the Shark. He has worked at the Australian Film Commission as Senior Project Manager – Creative Development Fund, and as Investment Manager at the Australian Film Finance Corporation, in the documentary area as well as in features and TV drama. Bergen O’Brien is an Australian documentary editor of some considerable years standing. He has worked for all mainstream broadcasters in all formats of the visual storytelling field. He has developed a reputation for his technical and story-telling abilities. Allen has worked as a musician and musician producer for over 30 years. Originally from New York, Allen discovered Australia in the 1980’s when he toured as the drummer with The Village People. He relocated to Sydney in the early 90’s, playing sessions and recording when he was invited to tour with the Warumpi Band. This exposure to Indigenous music led him to Northern Territory, where a life long love affair with Indigenous music began. Allen managed the early Barunga Music Festivals, was music coordinator for Garma for 4 years and has played and recorded with Indigenous musicians throughout the Top End, including Blakbala Mujik, Yothu Yindu, Warumpi Band and countless others.